SHAKRA are one of the most constant forces of the European hard rock scene, releasing one critically-acclaimed album after another. Even two changes on the vocalist position couldn’t do any harm to the steadily increasing success of the band. In fact quite the contrary: SHAKRA’s latest album “Powerplay” (2013) was their first ever to crest the #1 position on Switzerland’s album chart and chart entries in other countries followed as well. Now, after nine studio albums, it’s time to look back on the band’s rich achievement over the years. 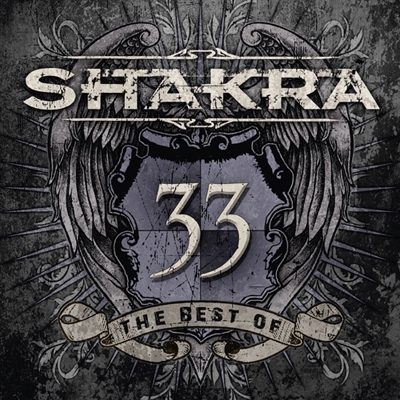 “33 - The Best Of” includes 30 SHAKRA classics, taken from the afore mentioned nine studio albums and on top of that, 3 brand new and unreleased tracks of finest quality which easily can stand among the band’s best songs. Two songs are even taken from the long out-of-print live release “The Live Side”. “33 - The Best Of” comes as 2-CD in Digipak format.